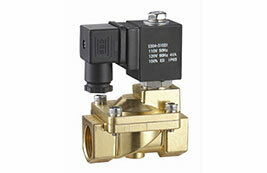 Founded in 1965, a professional manufacturer of solenoid valve ! Top quality and competitive price! 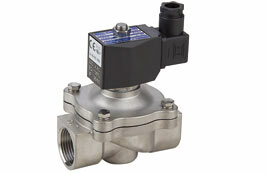 Gas and Liquid Solenoid ValveThe gas and liquid solenoid valve is a valve for use with water and solar energy. Working pattern: direct acting type and pilot type. Steam Solenoid ValveThe steam solenoid valve is a valve for use with the steam used by heaters, radiators, driers, bleaching and dyeing machines, etc. High Pressure Solenoid ValveWe offer high pressure solenoid valve, gas solenoid valve, liquid plastic solenoid valve and so on. Our high quality products are offered at competitive prices. Solenoid Valves with Coils, ES Series Strong electromagnetic attraction, our coil of solenoid valve is 3 times more powerful than normal coil. 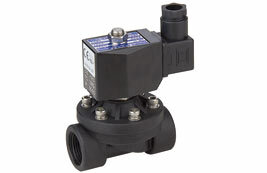 2W Water Air Solenoid Valve The 2W water air solenoid valve is a valve for use with water, liquid, gas and oil. The temperature of the medium is between -5 and 80℃. 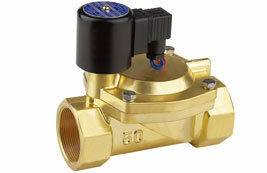 DFD Solenoid Valve The DFD solenoid valve is made with forged brass, precision casting stainless steel or precision casting iron. It is sealed by the NBR membrane. 2WSL Plastic Solenoid Valve The 2WSL plastic solenoid valve is a valve for use with water, liquid, gas, etc. The temperature of the medium is between 0 and 50℃. 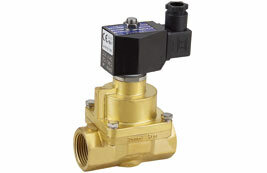 PS Steam Solenoid ValveThe PS steam solenoid valve is a valve for use with steam, liquid, gas, and oil. The temperature of te medium is between -5 and 180℃. 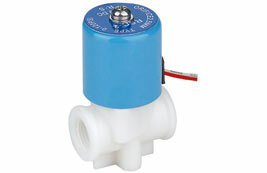 Water Cooler Solenoid ValveThe water cooler solenoid valve is used for the RO pure water cooler. It features high quality and low price.